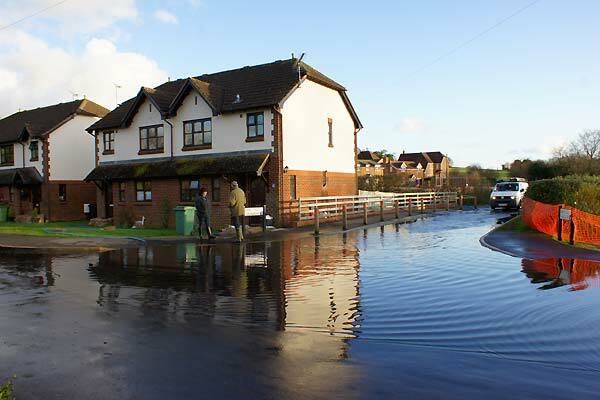 A combination of rising groundwater and heavy rain over the last few days have caused extensive flooding along the A32 Gosport Road, which is currently closed to through traffic in Farringdon. 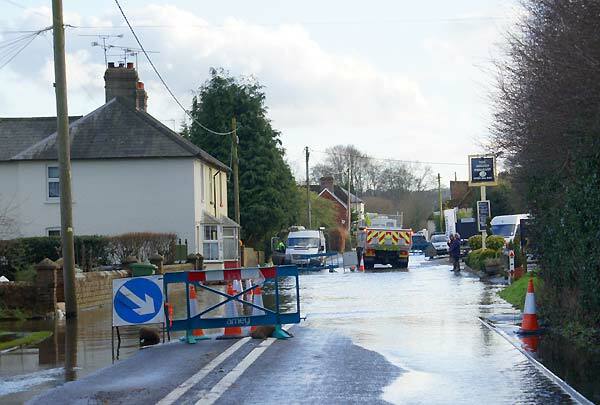 With care, to avoid sending a wave of water into Shirnall View, it is possible to drive across the main road from Shirnall Hill to Brightstone Lane. 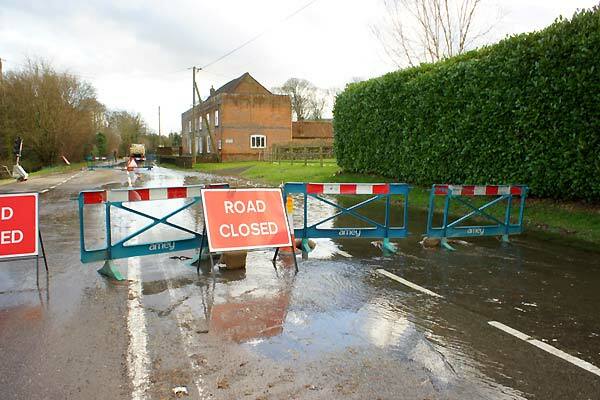 Gaston Lane and Hall Lane are open although both can suffer temporary flooding after heavy rain. On the south side the A32 is closed to a point just short of the entrance to the Farringdon Industrial Centre at the Old Station which can be accessed from the East Tisted direction. A quick depth check with the 'Biz' wellies showed the water across the road to the south of Street House Farm is about 8 inches deep (app 200 mm for the metricated) over the white line and beyond safe wellie depth near the verge. 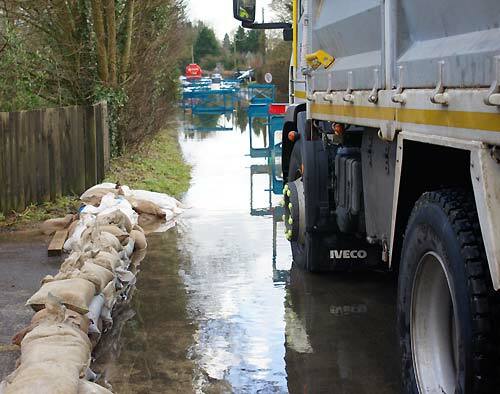 Thanks to a combination of sand bags and pump, householders have managed to keep the water out assisted by the Highway Authorities who had a number of personnel on site this afternoon(11th Feb.). 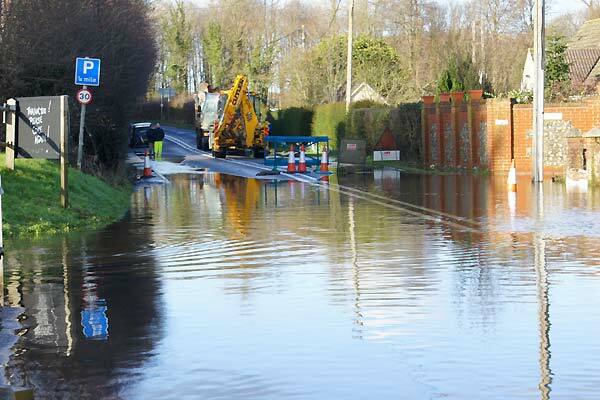 On the Alton side of the crossroads there is another lake of water across the main road in front of the Golden Pheasant car park The vehicles in the background were unloading pipe sections which will be connected to a large pump which is planned to arrive and begin operating tomorrow. The intention is that the output from this pump will be sufficient to, at least stabilize and hopefully, lower the level of flood water in the Village. 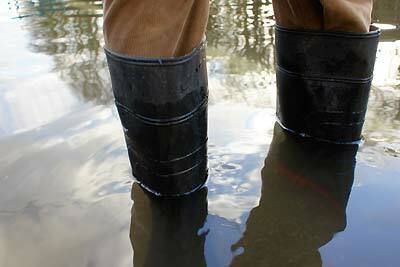 The same can not be said for the area at the back of the Shirnall View houses which is more than waist deep in places. 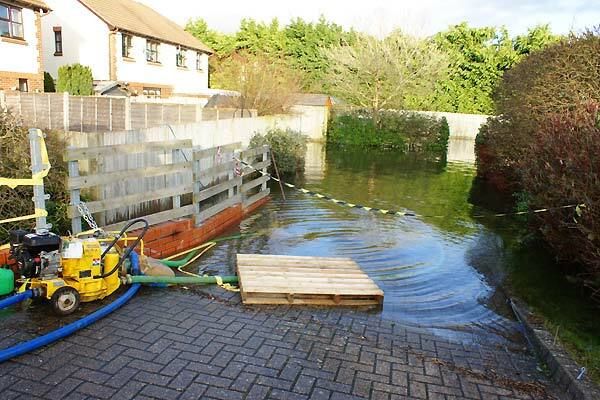 Although the levels have risen since the the previous report the combined efforts of residents and various agencies have kept the water out of the houses so far and if tomorrows pumping operation lives up to expectations they may be able to lower the level enough for Shirnall View residents to feel a little more secure. Although access to Brightstone lane is still open there is a lot of water in the road and if you do drive in that direction please drive carefully to avoid sending a wave of water into the houses. One selfish driver could undo all the efforts that have been made over the last weeks to keep the houses free of water. With heavy rain forecast over the next 24 hrs Farringdon residents will be keeping a careful eye on the water levels along Gosport Road..